The room was lovely and cozy. Had all amenities most guests would require and the location was amazing. Lot of restaurants which are only a few minutes away for both breakfast and dinner and all major tourist attractions are all walking distance. 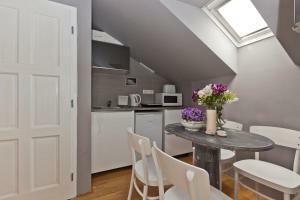 The apartment was spacious and the location was very convenient, walking distance from the city center. Great location, big cozy rooms. Very clean. Great value for it's price. Very friendly staff. Very central even for walking. Trams and metro close by. Hop on/hop off bus around the corner. Some nice Restaurants close by and 15/20 minutes you can be into Center. Walking distance to old town and castle. Relatively inexpensive and quiet. 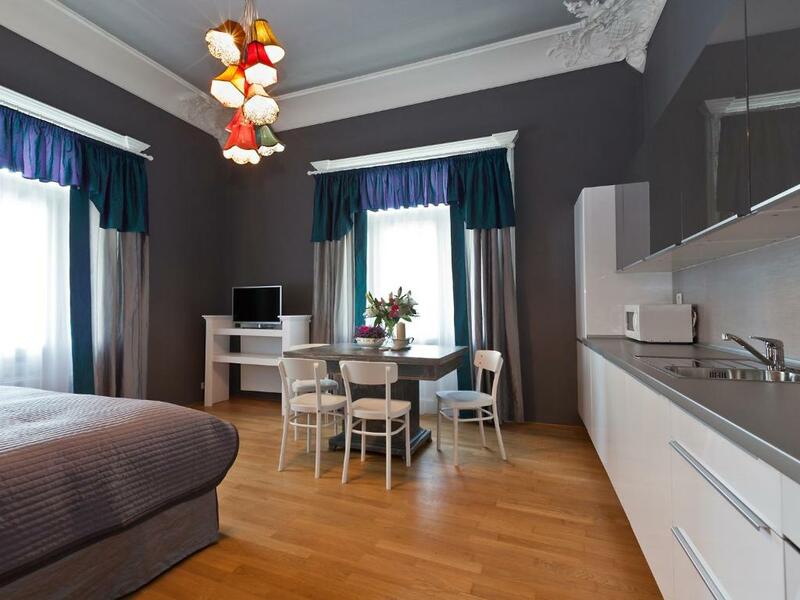 Lock in a great price for Royal Prague City Apartments – rated 8.6 by recent guests! Royal Prague City Apartments This rating is a reflection of how the property compares to the industry standard when it comes to price, facilities and services available. It's based on a self-evaluation by the property. Use this rating to help choose your stay! 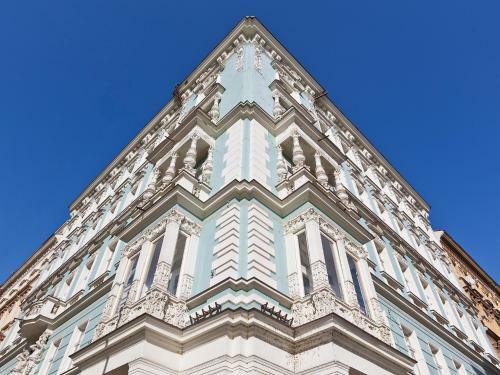 One of our top picks in Prague.Centrally located in Prague, between the Vltava River and the Petřínské Sady park, Royal Prague City Apartments is set in a historic building and offers stylishly decorated, modern accommodations with free WiFi. All self-catered units come with satellite TV and contain a well-equipped kitchen or kitchenette. A microwave, a kettle and a toaster are all featured. Each apartment also consists of a private bathroom with a shower or a bathtub. Bed linen and towels are provided. Cleaning is made every day and comes for free. Royal Prague City Apartments offers ticket and tour arrangements upon request. Airport shuttle can be organized for an additional cost as well. Paid private parking is available. Royal Prague City Apartments enjoys easy access to the Malostranská Square 3,100 feet away and the Petřín Tower, also called Small Eiffel Tower, 2,950 feet away. Prague Castle, as well as the Old Town, is within 1.2 mi. Numerous restaurants, pubs and shops are reachable within a 5-minute walk. Tram Stop Ujezd is 650 feet from the Royal Prague City Apartments. Prague 05 is a great choice for travelers interested in monuments, food and atmosphere. This is our guests' favorite part of Prague, according to independent reviews. 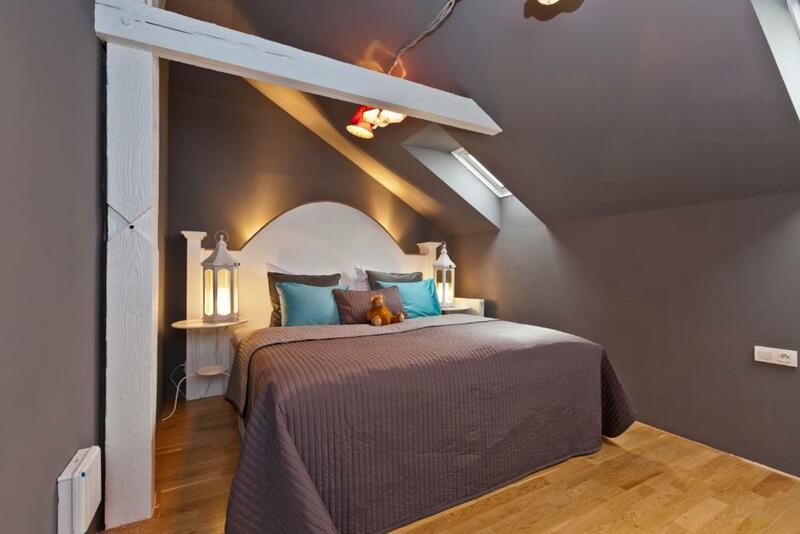 뀐 Located in the top-rated area in Prague, this property has an excellent location score of 9.0! 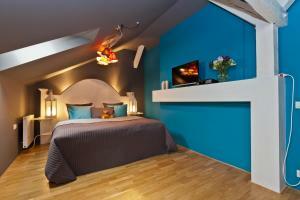 When would you like to stay at Royal Prague City Apartments? This stylishly furnished studio has a living area with two double beds, satellite TV, and a kitchenette. The private bathroom is either fitted with a bathtub or a shower. Free WiFi is provided. Extra beds in this room are not available. This stylishly furnished studio has a living area with a double bed, satellite TV, and a kitchenette. The private bathroom is either fitted with a bathtub or a shower. Free WiFi is provided. This stylishly furnished studio has a bedroom with double bed, a kitchenette and living area with satellite TV. The private bathroom is either fitted with a bathtub or a shower. Free WiFi is provided. This stylishly furnished studio has a bedroom with a double bed, a kitchenette and living area with satellite TV. The private bathroom is either fitted with a bathtub or a shower. Free WiFi is provided. This stylishly furnished studio has two bedrooms with double bed, a kitchenette and living area with satellite TV. The private bathroom is either fitted with a bathtub or a shower. Free WiFi is provided. This stylishly furnished studio has two bedrooms with double bed, a kitchenette and living area with satellite TV. The private bathroom is either fitted with a bathtub or a shower. Free WiFi is provided. This studio features a balcony. This stylishly furnished studio has two bedrooms with double bed, a kitchenette and living area with satellite TV. The private bathroom is either fitted with a bathtub or a shower. Free WiFi is provided. This studio features two balconies. This studio comes with a fully equipped kitchen or kitchenette and a private bathroom with a shower or a bathtub. It also features a satellite TV and free WiFi. This stylishly furnished studio has a large double bed, a kitchenette and living area with satellite TV. 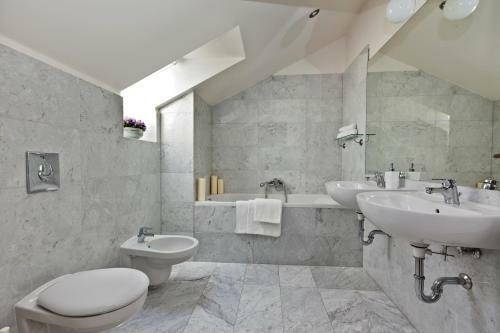 The private bathroom is either fitted with a bathtub or a shower. Free WiFi is provided. This apartment features a cable TV, microwave and kitchenware. Set under the picturesque Petrin hill, our Apartments offer modern comfort and unbeatable location. Our professional staff will do their best to attend to your needs and ensure you have a pleasant stay. Our Apartment House is situated in the old part of historic Prague, Lesser Town. All the main attractions are very close. You can get by walking to the Old Town Square in 15 minutes. Area Info – This neighborhood is a great choice for travelers interested in monuments, food and atmosphere – Check location Excellent location – show map Guests loved walking around the neighborhood! 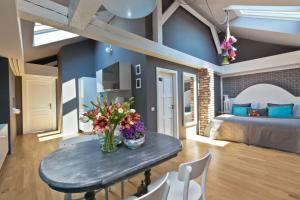 House Rules Royal Prague City Apartments takes special requests – add in the next step! Royal Prague City Apartments accepts these cards and reserves the right to temporarily hold an amount prior to arrival. If you expect to arrive outside reception opening hours, please inform the property in advance. Contact details are stated in the booking confirmation. Please inform Royal Prague City Apartments of your expected arrival time in advance. You can use the Special Requests box when booking, or contact the property directly using the contact details in your confirmation. One of the most picturesque neighborhoods in Prague! Helpful staff and very comfy! Suite number 110, needed "4" keys, one to enter the hotel, one to access the balcony, and a third and fourth key to open two separate doors to access the suite, very cumbersome. Also unsafe in the event of an emergency, the only way to leave the room was by unlocking each individual door from the inside. Could hear elevator noise and voices from people who I assume were getting on and off the elevator, not unbearable but noticeable. Lack of lighting in couch area. Clean, comfortable beds and couch, Kitchen equipped okay, one very nice full bathroom, and one half bath. We liked the location, restaurants nearby and corner stores. Parks nearby. The staff was not very friendly. The beds and pillows were extremely uncomfortable. There was no iron in the room. The view was not what was described while making the reservation. The location of the property was the best. Cleaners stole stuff from our room and staff were rude when dealing with the issue and laughing and joking. No apology. The room is a little bit cold (except the bathroom), one of my friend caught a cold after living here. In addition, the train outside was noisy. The spacious room is comfortable. The hot shower is really good. Also, the apartment is clean enough! Excellent location, fantastic room, amazing value for money. Would definitely stay here again. There is really nothing not to like - only one small thing for light sleepers you can hear the trams through the night with the windows open. But not really something that can be helped. I loved everything about the apartments. Spacious, clean and provided everything for a great stay. The woman on reception was super helpful and friendly and always a smile on her face. Hostes was neither friendly nor helpful, the key didn’t work (it was always hard to open the door), no air conditioner and the room was really hot! We couldn’t had some sleep, the cleanness of the room wasn’t good, the shower was not comfy it was hard to get a bath. The double bed was an abomination - incredibly hard with a wooden plank between the two mattresses. .We arrived the department early at seven a.m, We know that check in at 2 p.m ,but we had the large baggage,so we had to waited two hours outside to nine.a.m for reception opening. It would be better if you could open the door and let us put our luggage in advance. the room has a large with the skylight a beautiful view and a full kitchen. Superior location, convenient transportation. We liked this department hotel.